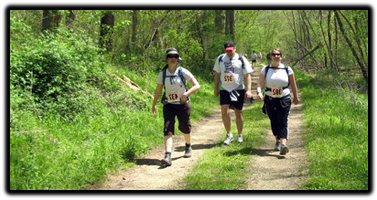 Often times, friends and family of hikers offer a kind lift to another hiker along the trail. We (and they) greatly appreciate your generosity - however please make sure that if you transport a hiker of the One Day Hike, that they call an ODH staff member to let them know that they have dropped out of the hike. Too often, volunteers at the next support station are waiting for an individual to check in when they have actually dropped out but neglected to tell anyone. This wastes valuable time, as we scramble searchers to located this person who may be injured on the trail. We thank you for your help with this simple yet important task!